Alice Chen finished the Clemson Invitational at 6-under par for second place. The Furman Lady Paladins made a strong move towards the top spot at the Clemson Invitational in the final round. 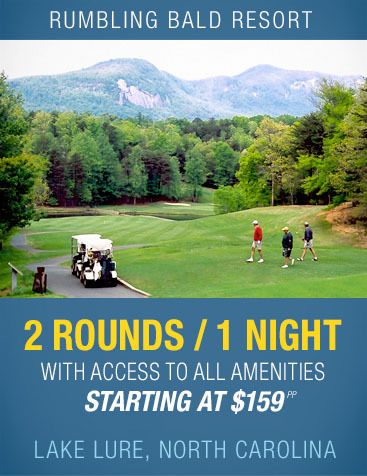 Furman fell one shot short of tying Florida for the top spot in the tournament played at The Reserve at Lake Keowee. The Lady Paladins shot their best round of the tournament finishing at 2-under par 285 and chased the Gators to the very last hole. “While it is disappointing to not come out on top, it was nice to be in contention right to the very end,” said Furman golf coach Kelley Hester. 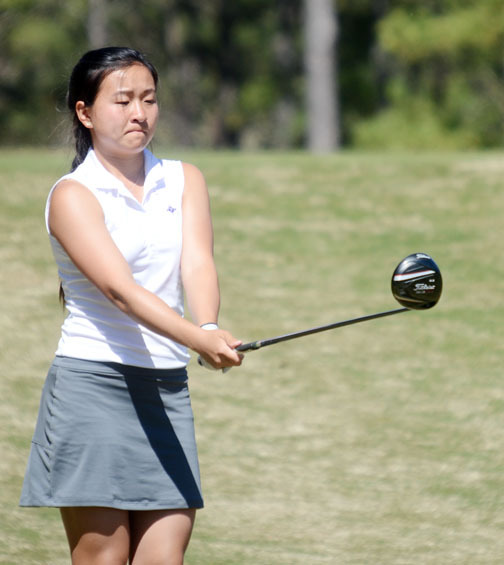 Alice Chen had the best day for the Lady Paladins moving up the leader board to finish in a tie for second place. Chen posted a final round score of 4-under par including birdies on the final two holes to help Furman to the second place finish. Chen finished two shots behind tournament champion Katie Sharp of Michigan State. 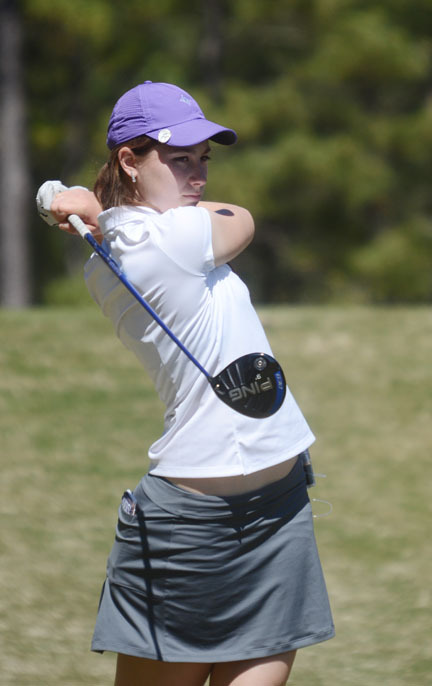 Jacqueline Bendrick posted a 1-under par round to help the Lady Paladins to a second place finish. Four Furman golfers finished in the top-25. Chen was joined by Taylor Totland who finished at 3-under par in a tie for sixth place. Jacqueline Bendrick posted the Lady Paladins second under par round of the day finishing at 1-under par in a tie for 12th. Freshman Haylee Harford finished 22nd while Valentina Romero had her best round of the event finishing with a 2-over par 74. 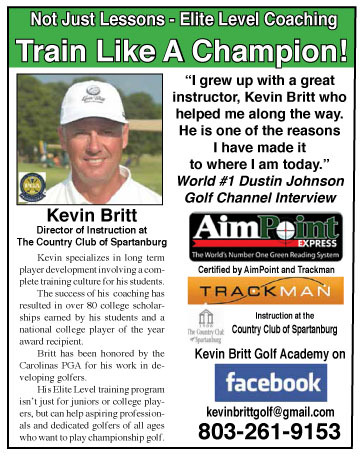 “When you have four players finish among the top 22, it has been a successful weekend,” said Hester. “I couldn’t be more proud of the girls,” she added. The 33rd ranked team finished in front of four higher ranked teams in the tournament. The host team from Clemson finished in fifth place. Freshman Lauren Stephenson was the top Tiger. She finished at 2-over par in tie for 12th place. 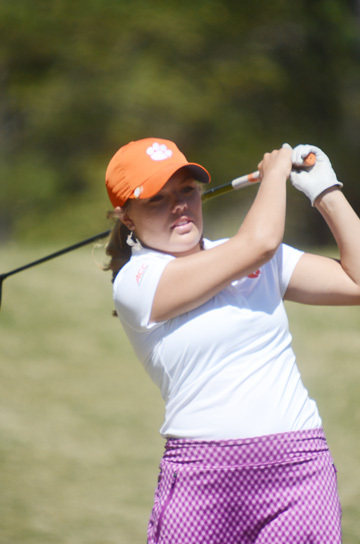 Freshman Lauren Stephenson was the top Clemson golfer. Both Furman and Clemson will next play in their respective conference championships. 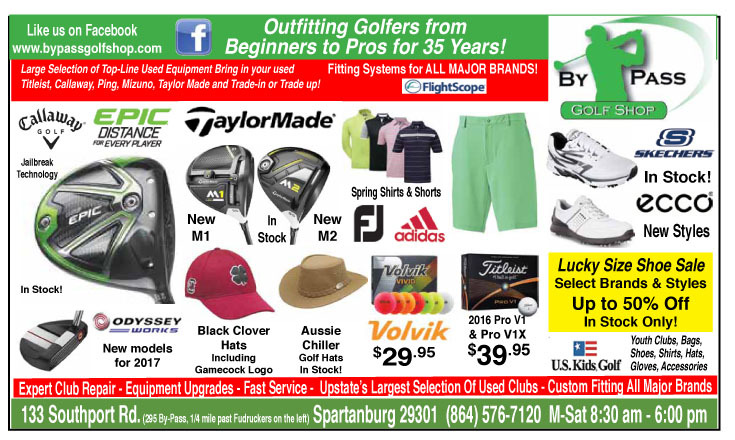 Complete scoring is available at http://www.golfstat.com.